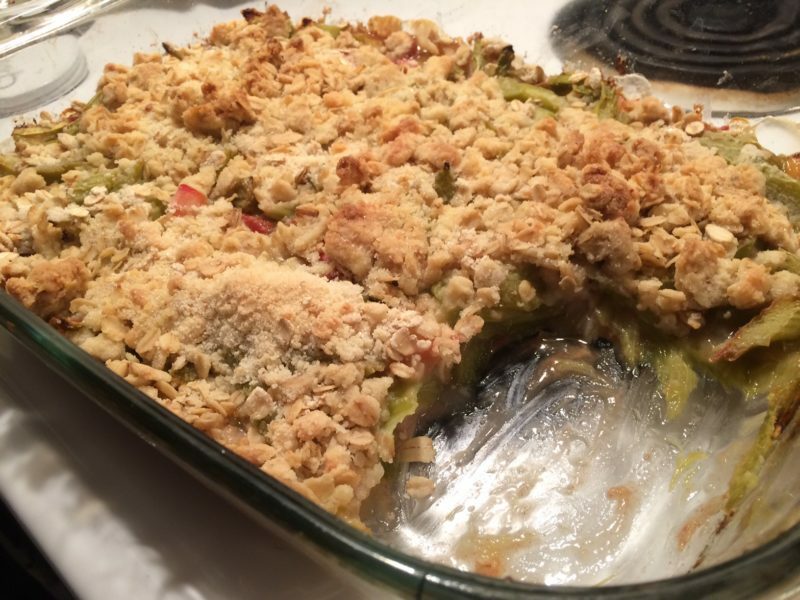 You wouldn’t have a reason to know this, but I’ve been trying to find a Stefan-style recipe for rhubarb crisp for a while. …and by “Stefan-style” I, of course, mean: “Extremely Simple”. So check out the resulting recipe below. It’s super easy, and it won three thumbs up from our three taste testers. 2) Combine the four ingredients for the topping, and sprinkle it on top. 3) Bake at 375 degrees Fahrenheit for 35 – 40 minutes. Ta da!